I’m not a big ritual person. 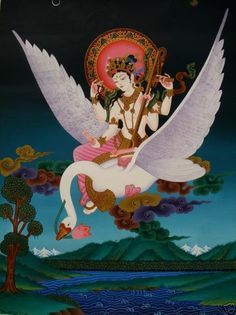 Honestly, too often it feels like I’m just waving my arms around and talking to myself, even though I know Saraswati is right there. In fact, I think that’s the problem. Most rituals are designed to get the gods’ attention, so they come across as rather silly when that god is already standing right behind you…and giving a running commentary on your performance. Posted on January 17, 2016 by Redfaery	This entry was posted in Mystic Musings and tagged gods, paganism, spirit work, spirituality. Bookmark the permalink. I’ve run into this as well. I’m not quite sure how to handle it just yet.